No Bees? No Food! What’s Killing Them Off? Home/Blog, Uncategorized/No Bees? No Food! What’s Killing Them Off? Most people are now aware that the honeybee is a species that is receiving lots of attention over the last few years with the devastating news of what has been termed ‘colony collapse disorder’ which describes symptoms but not causes. This widespread problem is a signal that the entire biosphere is at risk if 50% of the world’s bees are dying at once — and that is what is happening now. The symptoms are straightforward. When examined in early spring, one day the colony has ample adults, an acceptable queen and a healthy number of juvenile bees ready to emerge and become adults. A week later — the adults are gone. They vanish into thin air, leaving the juveniles to emerge into a dying world. Commercial beehives pollinate over a third of North America’s crops and that web of nourishment encompasses everything from fruits like peaches, apples, cherries, strawberries and more, to nuts like California almonds, 90 percent of which are helped along by the honeybees. Without this pollination, you could kiss those crops goodbye, to say nothing of the honey bees produce or the flowers they also fertilize. Also, along with drought conditions, the price of food will soar. What is the cause of the massive die-off of bees? Mites and viruses are often cited as the key culprits, but there is a growing awareness that the ‘chemical soup’ of pesticides, herbicides and fungicides that are repeatedly sprayed on the food crops that bees pollinate has a huge impact. With humans, if we get too little sleep, have a poor diet, and take on too much pressure, our stress levels rise and we succumb to ailments our otherwise healthy immune system could easily handle. And we get sick. So it is with the bees. Their world is overrun with stress: concrete jungles being erected everywhere, corn fields for bio-fuels edging out and replacing thousands of acres in place of fruit trees; chemicals and denatured sources of their foods are also at fault. It has been revealed that many monolithic chemical companies have poo-pooed allegations that chemicals may be responsible, as least partly. Apparently, U.S. environmental regulators illegally approved overuse of pesticides that caused honeybee colony collapse disorder, threatening agriculture throughout North America, claim nonprofits such as the Sierra Club and Center for Food Safety in Federal Court. 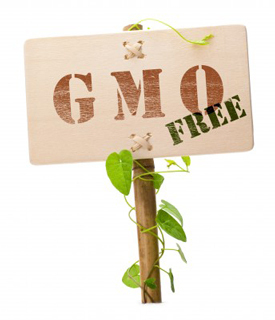 Genetically modified seeds are produced and distributed by powerful biotech conglomerates like Monsanto. They manipulate government agricultural policy with a view to supporting their agenda of dominance in the agricultural industry. One criticism of these companies is that they have created seeds that reproduce only under certain conditions, often linked to the use of their own brands of fertilizer and/or insecticide. Monsanto appears poised to slowly gobble up all the competing companies and organizations that threaten its own GMO products, while pretending to care about the dwindling bee populations. And unless drastic action is taken to stop Monsanto in its continued quest to dominate global agriculture, the food supply as we know it will soon be a thing of the past (but that’s a subject for another day). 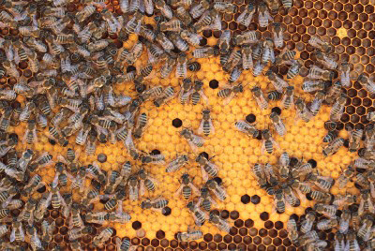 Without enough good healthy food for the bee, beekeeping is destined to become a concentrated feed lot enterprise. Corporate greed and stupidity backed by government politicians and their fawning lobbyists win. We lose.